We all know those Valentine candies we loved getting with fun messages. I really loved them, but always wished they tasted a bit better! Last year, I took the idea of making homemade fondant, and maded Valentine candy inspired cupcakes! You can see those here. But this year, I decided to make homemade Valentine candy marshmallows! I know, I have been Marshmallow obsessed, but I love this new recipe I found a month ago, and I cannot stop making 'em! The recipe I have been using is Giada De Laurentiis' marshmallow recipe. I omitted the orange zest, and orange decorating sugar. But everything else is identical as far as major ingredients. I did make 4 separate slabs, and added food coloring to them, but nothing else was changed. Anyhow, let me just give you my reasoning behind the love for this recipe...no corn syrup!!! I have been looking for a good recipe that didn't use corn syrup, and saw this one used evaporated milk instead. I tried it, and I don't see myself going back to the old recipe. The evaporated milk gives it a fluffy texture, and more of a natural sweetness. And best of all, it's soooooo easy! After you make your marshmallow, and have let it sit overnight, you can start prepping to cut. 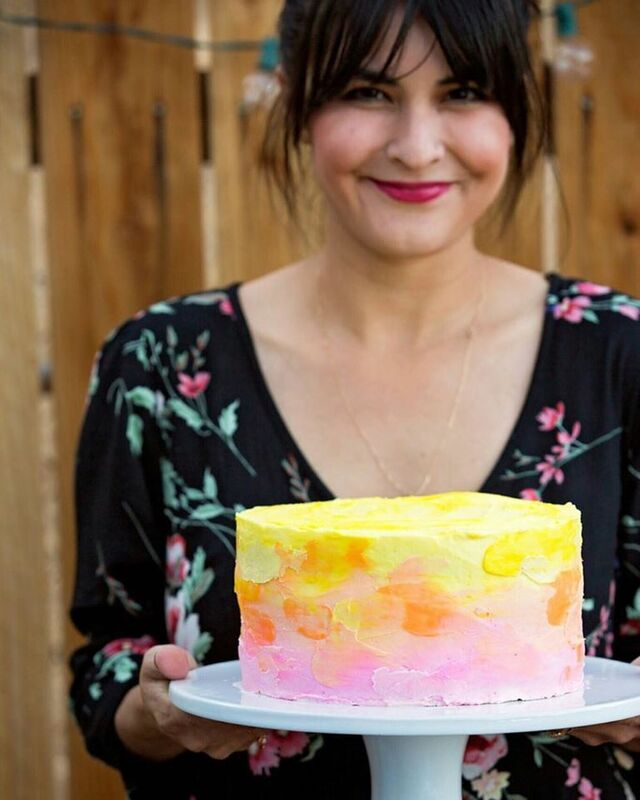 I always use a large cutting board, and powder sugar the surface to avoid stickiness. And don't forget your heart cutter. They sell these heart cutters either at Michaels or World Market. Once you lay your slab of marshmallow out, you can start pressing your heart cutout. And what do you do with the scraps? Eat 'em! Once you have cut out all your hearts, you are ready to write your fun messages on them. I suggest using a red edible marker. They sell great edible markers on amazon! You can also use red royal icing, but I honestly think the markers are way easier! You can go with the typical 'Be Mine' messages, or make some up like '#LOVE'! 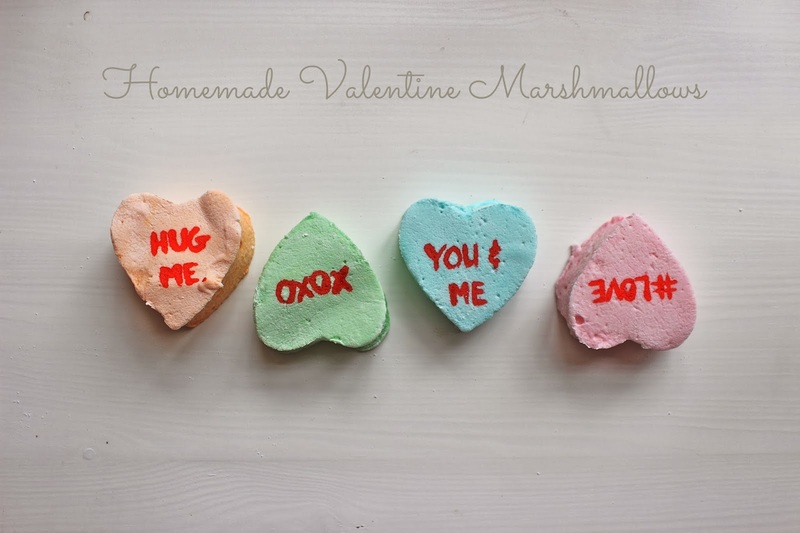 Now you are ready for some yummy Valentine marshmallows with fun messages! Perfect for your loved one, or even your BFF! Now, go on and make them because you have a week tillValentine's Day!